Are Dollar Coins Making a Comeback? New Presidential $1 Coins are certainly a hit with many collectors, but their acceptance elsewhere since they were first introduced in 2007 has been slow. Frightening slow… and very similar to previous failed attempts at thrusting dollar coins into the publics hands. Like the Susan B. Anthony and Sacagawea golden dollars, Presidential $1 coins face a daunting and nearly impossible task of competing with the one dollar bill. Regardless of the historical and interesting aspects of any dollar coin, handling and using paper bills in every day life is simply too convenient. When it comes to the dollar, most people want to use and receive paper in transactions, not coin. Platinum blasted through several records this week with a final London close of $2,060 and up an impressive 8.54% for the week. With the rapid rise in platinum, the United States Mint suspended platinum coin sales to readjust prices. That, after just lifting the previous suspension last week. The CoinNews Saturday eNewsletter and the short post Sunday morning included information about the Sunday night 60 Minutes news segment titled, Should We Make Cents? Morley Safer reports on how the penny and nickel are worth less than the U.S. government cost to manufacture them – the penny almost two cents and the nickel almost a dime. 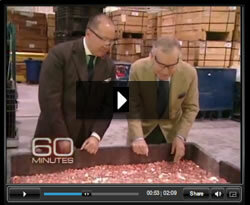 The largest portion of the segment, as the 60 Minutes title suggests, revolves around the various points of view on whether the government should stop making Lincoln pennies. 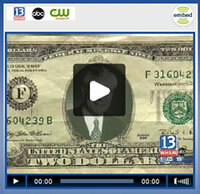 Dec. 16, 2007 wasn’t a good day for Chester (Chet) Endress, a 73-year old coin collector and owner of Chet’s Coin Shop. That day thieves burglarized Mr. Endress’s business by cutting through an adjacent store wall. The robbers then proceeded to torch the shop’s safe to steal approximately $750,000 worth of rare and common coins.